Our government and our people want primacy to Kannada in education at the primary school level, said Karnataka Chief Minister Siddaramaiah. 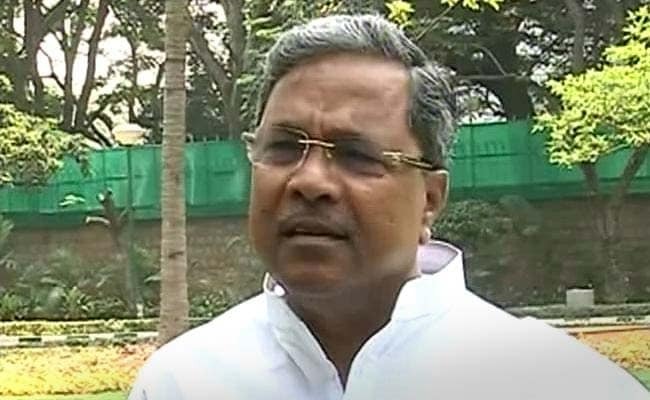 BENGALURU: Stating that language of the land should get priority in early learning, Karnataka Chief Minister Siddaramaiah today said government wants primacy to Kannada in education at the primary school level. “It is true that every language we learn is an asset for us. I believe that language should be a carrier of thought and should not become a barrier to be fought,” Mr Siddaramaiah said. “But, the language of the land should be respected and it should get priority in early learning, as that can only make the life of the child comfortable,” he added. “Our government and our people want primacy to Kannada in education at the primary school level,” he added. Mr Siddaramaiah was speaking at the closing ceremony of the sesquicentennial (150 years) celebrations of Bishop Cotton Boys’ School here that was attended by President Pranab Mukherjee and Governor Vajubhai Vala. Complimenting Bishop Cotton Boys’ School for high quality of its academics, Mr Siddaramaiah said every school in the state and the country should impart quality education to their students. “No child should be denied education citing the economic backwardness of its family,” he added.